The Kingsley School’s U16 Ski Squad have been crowned English Schools’ Champions for 2018. 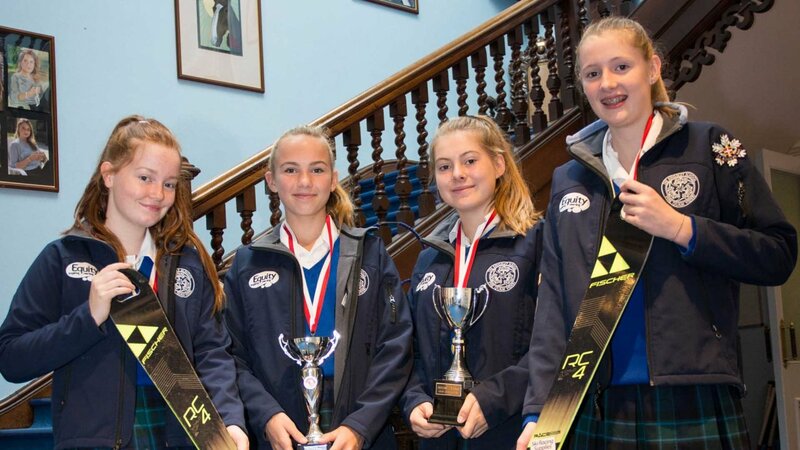 The team of Year 10 girls, comprising of Lorenza, Hannah, Emma and Lucy, enjoyed outstanding success at The English Schools Ski Championships in Norwich on Saturday 6th October. Skiing slalom against strong opposition from schools who had qualified by performing well in the six Regional Qualifying races in September, they were crowned Champions for 2018. Individually, Hannah was second and Emma third fastest U16 racer on the slope. On Sunday 7th October on the same slope, Kingsley’s Open Aged Team, in which Cecilia replaced Lorenza from the U16 Team, finished in 7th place, despite being the youngest team competing. Their performance means that the team have now qualified for The 50th Anniversary of The British School’s Championships, which will be held at Hillend, Edinburgh on Sunday 18th November. The U16 team will also be competing on snow in The British School girls’ Championships in Flaine, France in January 2019.